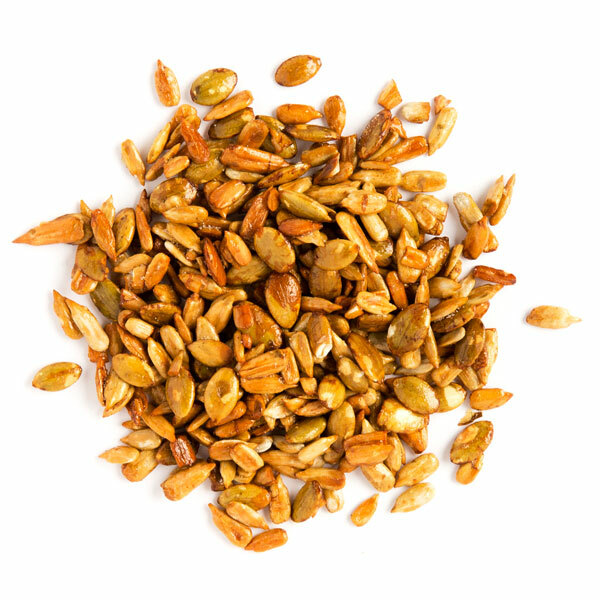 This delightful blend of sunflower seeds and pumpkin seeds is slow roasted in a sweet-cinnamon drizzle. Honeybee Sprinkles are perfect as a nutritious topping to yogurt, porridge, ice cream, or just by themselves. The magnesium content in sunflower seeds helps sooth the nerves, and pumpkin seeds contain L-tryptophan which supports a good night's sleep. These yummy sprinkles will have you feeling excited for whatever buzzing around you need to do.